Investment Team - Inukshuk Capital Management Inc. The Inukshuk team is a dedicated group of professionals with vast experience across the financial industry. Each member of the team believes in our mission to provide our clients with a simple but revolutionary approach to wealth management: transparent, professional service at a reasonable cost. Chris has over 20 years of experience in the investment industry with extensive experience in managing assets for high net worth individuals. He began his career at Scotia McLeod in the Futures department in 1993. In 1996, he joined BMO Nesbitt Burns as an Investment Advisor. Over the following 17 years, he rose to become a Senior Investment Advisor and Vice President. 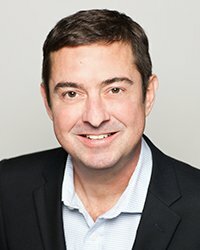 In his time at Scotia McLeod and BMO Nesbitt Burns, Chris researched and developed his knowledge of quantitative analysis and systematic trading, collaborating with over a dozen programmers, statisticians and academics to test, analyze and develop his proprietary trading strategies. He founded Inukshuk Capital Management in 2011. On July 1, 2013, the Inukshuk Opportunities Fund LP was launched in order to employ the proprietary systematic portfolio management program he had developed over the preceding 20 years. Chris is a Chartered Financial Analyst (CFA) and is a member of the Toronto CFA Society. He holds the Canadian Investment Manager (CIM) designation, the Certified Financial Planner (CFP) designation, and is a Fellow of the Canadian Securities Industry (FCSI). Patrick has over 25 years of experience in the investment industry managing assets for high net worth clients and institutional investors. Patrick joined Nesbitt Burns as an Investment Advisor in 1993 and moved to Charles Schwab Canada as National Sales Manager in 1999. He then joined the Bank of Montreal (Toronto and Chicago) where he was Head of US Sales for the Private Client Group. In 2005, he was appointed President of RBC Private Counsel and later became co-President of RBC Phillips Hager & North Investment Counsel. 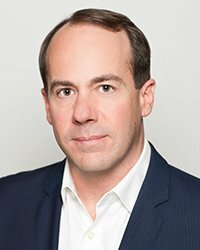 Prior to joining Inukshuk Capital Management as President, Patrick served as a Managing Director, Client Wealth Management and was a registered Portfolio Manager and member of the firm’s asset mix team at Gluskin Sheff + Associates Inc. since 2009. Patrick was named one of Canada’s Top 40 Under 40 in 2006. 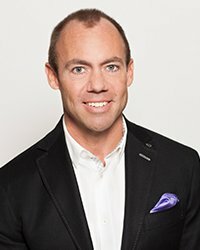 He has been a member of Young Presidents’ Organization (YPO) since 2006 and currently serves as a board member and is the Toronto Chapter’s membership chair. He currently serves as a Director of Polar Bears International. He has also served as a Director of the Canadian Stage Company, a member of the Development Committee of the Princess Margaret Hospital and a member of the Advisory Board of the Simon Fraser University Global Asset Management MBA Program. Patrick has been an Honourary Chair of Road Hockey to Conquer Cancer benefitting the Princess Margaret Hospital since its inaugural year in 2011. Lorrie has over 25 years in the financial services and wealth management industry, focusing on creating valued relationships and a differentiated client experience for high net worth clients. She began her career at Scotiabank as a senior personal lending officer before joining RBC in a senior account management role, leading a sales team providing a high touch service offering to a VIP Banking portfolio. She went on to hold various roles within RBC including financial planning, training, project management and sales effectiveness. 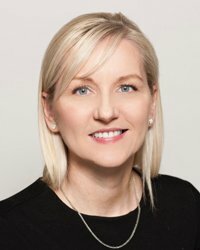 Prior to joining Inukshuk Capital Management, Lorrie was Vice President, Strategic Initiatives with RBC PH&N Investment Counsel, where she was a member of the firm’s senior management team and Operating Committee. She chaired the firm’s Support Team Advisory Board and sat on the Diversity & Inclusion Committee. Lorrie has been a strong advocate for women in the workplace and was a member of the steering committee of RBC’s Women in Wealth Management. Lorrie is also an active volunteer with Parkinson’s Canada. Mike has more than 25 years of experience in the investment industry. He has worked in a number of areas across all major asset classes, with roles in research, trading, portfolio management, operations and risk management. He began his career in equity and convertible bond research, trading and sales. In 1994, he moved to CIBC World Markets where he traded interest rate and currency derivatives on the Funding Risk Management and Forward desks. In 2001, he joined the Ontario Teachers’ Pension Plan (OTPP), one of Canada’s largest institutional investment managers, as a Portfolio Manager. At OTPP, Mike was responsible for a multi-billion dollar hedging program covering the fund’s equity holdings as well as managing several absolute return derivative portfolios. Mike is a Chartered Financial Analyst and is a member of the Toronto CFA Society. Matt develops and evaluates systematic trading strategies. 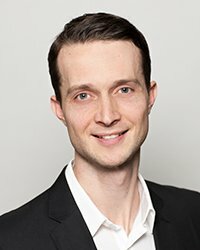 He has collaborated with academics at the University of Toronto, University of Sussex, and Ryerson University on projects that use machine-learning techniques to forecast markets. He has researched how neural networks and genetic algorithms can be used in the development of systematic trading strategies. He first began collaborating with Chris in 2009 and has been directly involved in the strategies used by ICM since 2012. Matt is proficient in Python, MATLAB and R programming languages.